When I was a boy, I played in a local barn quite often. Godar’s Barn had a rope swing. Ed Godar smiled and greeted us kids most of the time, but he would get grumpy if he heard us much or if we rough housed. He said to strictly stay off the hay stacked in his barn. However, with the rope swing right there and him not around the barn much, it was extremely tempting to climb way up on the top of the stacked hay and leap off into mid air on the rope swing, which made for a much more exciting ride. From Plumas County in the Sierra Nevada of Northeastern California, I branched out and started photographing barns all over California. Recently, because of a wedding in Michigan, I decided to drive to the Midwest and photograph all the famous and historical barns of the Great Plains and Midwest. 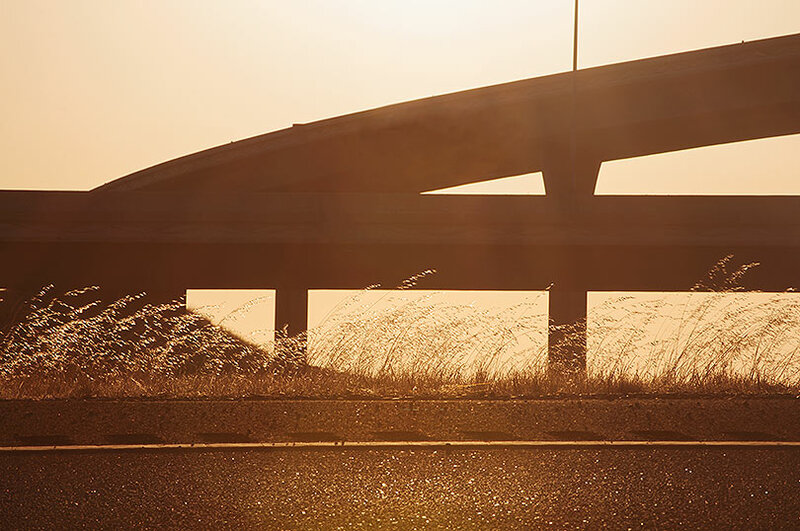 My journey of 8,000 miles through the Heartland of America: the Midwest and part of the South, United States, will celebrate architecture and land. I plan to photograph historical barns and farms, cityscapes, landscapes, covered bridges, old mills, wildlife refuges, waterfalls, urban blight, rural decay and perhaps even a shipwreck and more, though barns and their culture will be the main focus. Highway Interchange at Wicks Corners Near Oroville, California, copyright 2015 David Leland Hyde. My friend Topher, short for Christopher, instigated this trip. Topher and I have been friends for almost 20 years. We were friends for a number of years in Albuquerque during my 30s when I finally went back to school to finish my bachelor’s degree. After I graduated from UNM, I moved to Massachusetts. Around the same time he moved back to Michigan, from where he came originally. “I’ve been having a good time in Albuquerque,” Topher said. “But, I’ve been having the same good time in Albuquerque.” He was a traveling bus tour guide not inclined to stay put long. Out of the group of us who hung out together in Albuquerque, Topher was the least likely to get married. It was a fairly wild group. To our surprise, Topher did stay put in Michigan and lo and behold, here 15 years later he called early this year to say he will marry Kori July 30, just before the only blue moon in 2015. Driving up to the West Coast of Michigan for the wedding will allow me to continue the barn photography project I began in California. I will do a study of the famous round barns of the Midwest, horse barns, feed barns, hay barns, milking barns and the tobacco barns of the South, as well as farm houses and other ranch buildings. 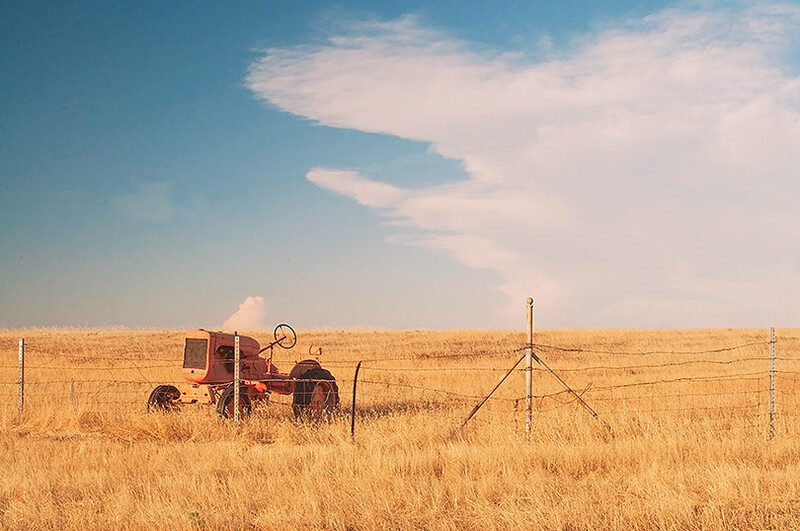 Metal Barn, Corn Field and Water Tank Near Kirkville, California, copyright 2015 by David Leland Hyde. I will visit many sites I discovered through the National Register of Historic Places. I plan to photograph barns, state capitols and other structures in California, Nevada, Utah, Wyoming, Colorado, Nebraska, Iowa, Wisconsin, Michigan, Illinois, Indiana, Ohio, Kentucky, Tennessee, Arkansas, Texas, New Mexico and Arizona. 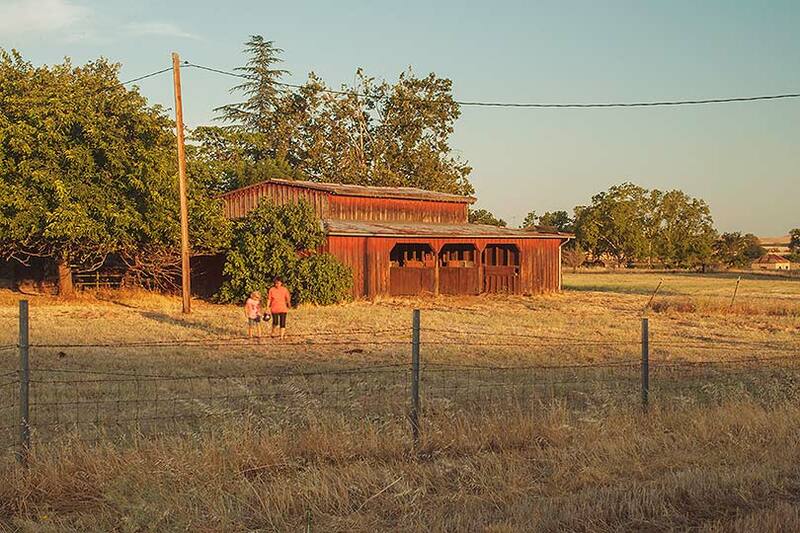 Thursday, June 16, 2015, with the evening light, my photographic journey to the heartland of the country began in the Great Central Valley, the heart of California, near the small agricultural and lumbering town of Oroville. I saw an old tractor juxtaposed with contemporary billboards in a big open field under a half clear, half stormy sky. Also, I stopped to photograph the barns and the interchange at Wicks Corners where California State Highway 70 and 149 merge. I have wanted to photograph this group of barns on two adjacent ranches for years. 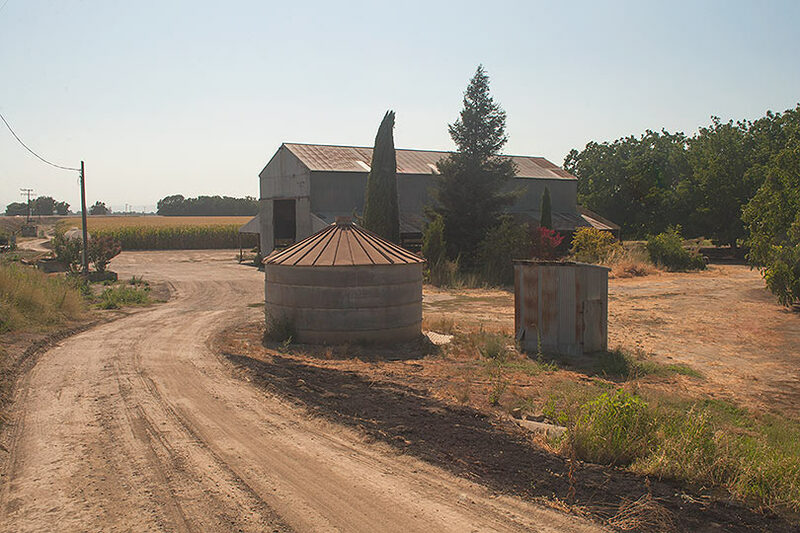 A few days later, I photographed metal barns near Knights Landing and Kirkville, California. I also photographed a red barn and white shed near Gridley. 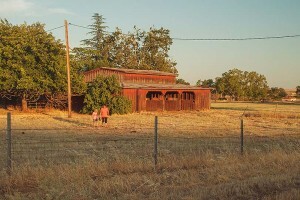 Julie, Her Granddaughter and Her Horse Barn, Wicks Corners Near Oroville, California, copyright 2015 David Leland Hyde. At Wicks Corners, Julie and her granddaughter came out to say hello and talk for a bit. On her small ranch she previously had many animals, but is now down to one Quarter Horse, six dogs, one cat, four goldfish and one magpie that talks. She raised her two daughters on the ranch and now they bring their granddaughters to visit. My goal on this journey is not only to photograph barns, but the settings of the barns—the ranches, farms, homesteads, people, animals, freeways, dirt roads, blue highways, back roads and campgrounds. The only thing missing on my travels is that I don’t have a dog named Charley, but you never know what might happen by the time it’s all over. Check back here and stay tuned for more on my adventures. I will post more updates here, at least weekly, hopefully more often and tweet my travel progress from the heartland of California across the deserts of Nevada and Utah, the Rocky Mountains and into the Heartland of America.